While bitcoin is a purely digital currency, there has been a growing movement by the community to provide interested newcomers with a real-world introduction to its merits. Bitcoin Center NYC and La Maison du Bitcoin in Paris, for example, serve as physical destinations where novices can ask questions while ardent enthusiasts network, take classes or otherwise consider the larger implications of the innovation. 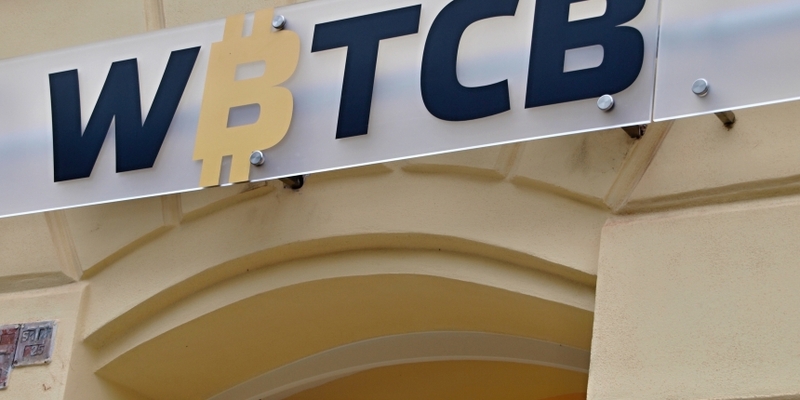 Opened 28th May in Prague, The Client Center WBTCB.CZ joins this list with the aim of fostering bitcoin awareness and enthusiasm in the Czech Republic’s largest city. Located in Prague’s Smíchov district – a popular shopping destination – the project is one of the first big moves from Czech bitcoin startup world BTC business (wBTCb), which aims to make its mark providing local cryptocurrency trading services. Stránský indicates great care was taken to ensure that the Client Center would provide an attractive backdrop to its client services, and that it could be easily replicated. If successful, wBTCb hopes to explore franchise opportunities with global members of the bitcoin community looking to bring similar projects to their home country. In total, wBTCb’s Client Center provides 125 square meters of bitcoin-centric space, divided over two floors. The first floor provides a contact zone for clients, as well as a bi-directional Robocoin bitcoin ATM that allows for a maximum withdrawal of 25,000 Kč, or roughly $1,200. If the first floor is more business-focused, the second floor will emphasize bitcoin’s more creative side, said Stránský, indicating that the floor will house an art gallery where wBTCb will organize exhibitions for artists who accept payments in bitcoin for their work. wBTCb is launching with just a few services, though the company says it already has plans to expand the center. For example, while general bitcoin ATM users are limited to a 25,000 Kč limit, higher amounts are available to clients who register formally with the center. Compared to other European nations, the Czech Republic has been relatively quiet on matters relating to alternative digital currencies. To date, the Czech Republic has issued only guidance on bitcoin related to anti-money laundering (AML) compliance, according to BitLegal and the US Law Library of Congress. wBTCb indicated a full virtual tour will be available on its website soon.